If you like meeting new people and interacting them in person, then we have something very exciting for you - Chatville. Chatville is a Facebook Application developed by Digsby - A software that lets you access multiple Social Networks & IMs from one place. Using this application you can video chat with random Facebook users earning compliments, unlocking badges, and leveling up in a race to become ChatVille Champion! 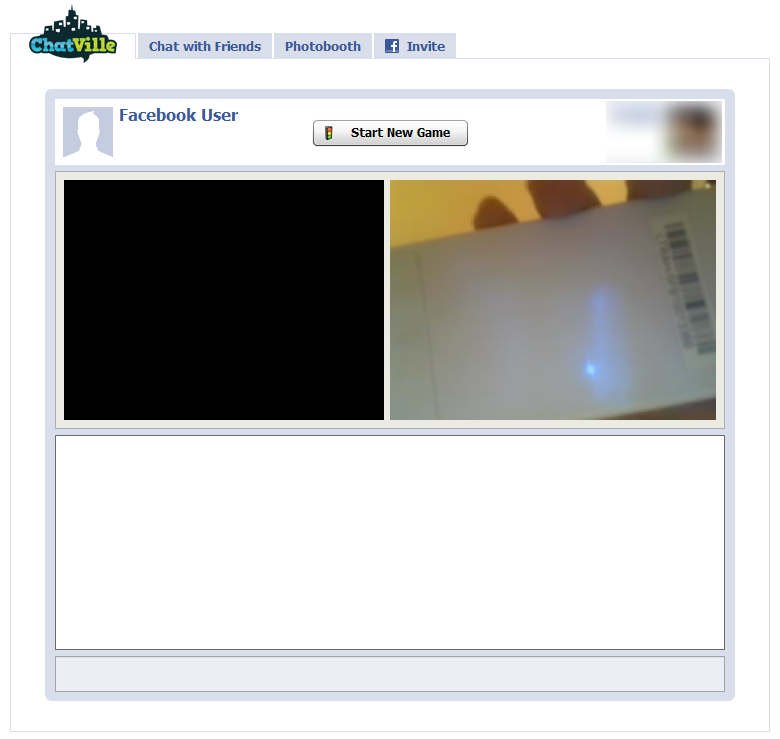 Not only random people, if you hate meeting a bunch of strangers, you can simple switch to another view in the Game wherein you can video chat with your friends on Facebook by just clicking the Friends Tab in the Application. Well this is for the first time that you can use Facebook as a video chatting too, via Chatville. However the application asks for a lot of additional Facebook permissions for it to function properly such as the Stream Publish permission, Photo Album Access, Offline Access etc. 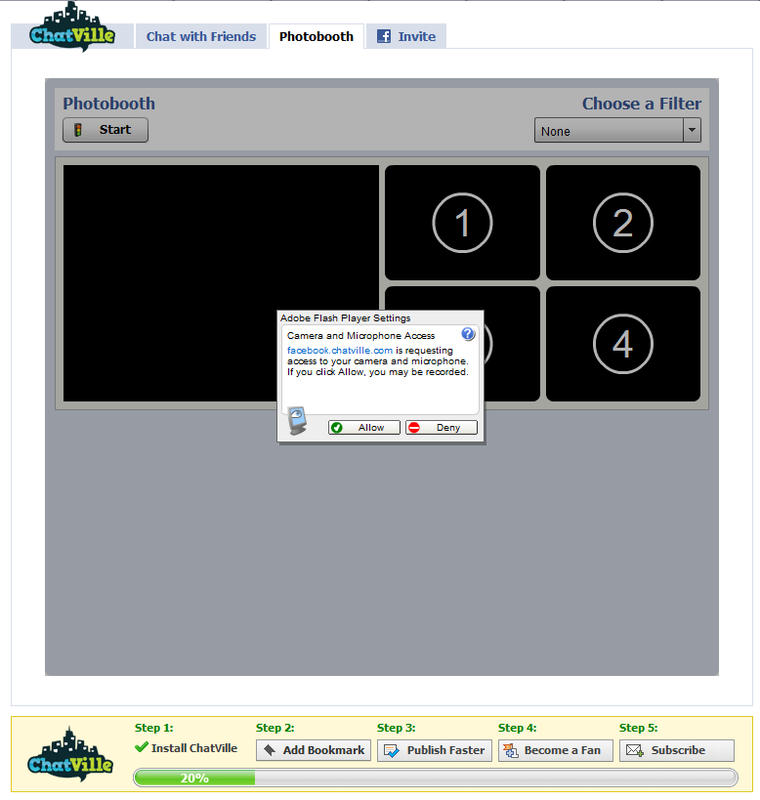 The application is built in Flash so you have to have the Flash plugin installed in your browser for it to work properly. The flash plugin also asks for your web-cam permissions in order to gram your video. Since this Video can be seen by many users other than your friends, it is totally your call so as to use this app or let it go! There are other activities in the application too using which you can take shots of your adventures via your web-camera, make classy filmstrips, and meet fun new people in the process. You can publish your new filmstrips on your Facebook wall too. 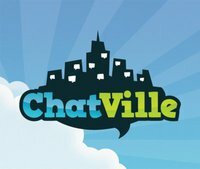 Try Chatville Now!